I happened to drive by the Gwinnett Mall on the way to the Chevy dealership. 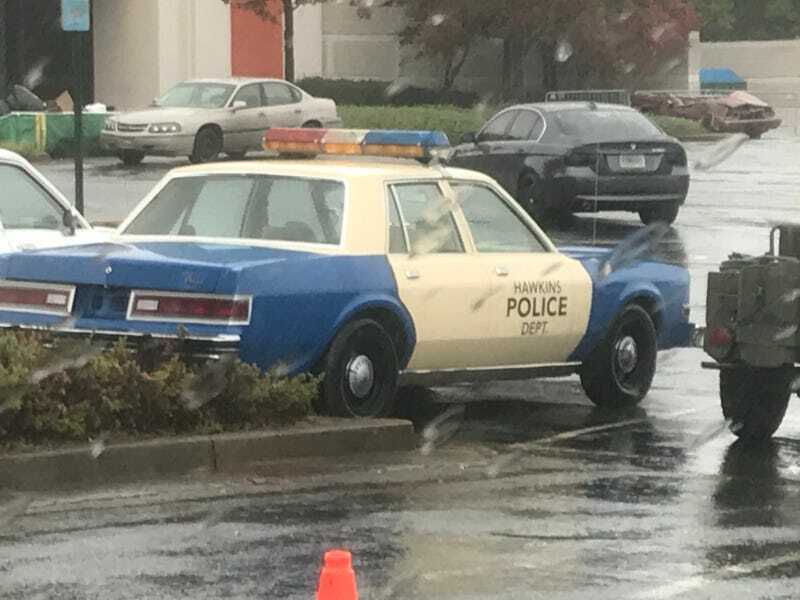 The Hawkins PD is there keeping things on the up and up. Indiana State Police are there to along with a host of military vehicles and EMS. Billy’s raging Camaro was there as well.